Barbra Annino is the author of the enchanting and popular Stacy Justice mystery series. Sin City Goddess is the first title in her exciting new Secret Goddess series. 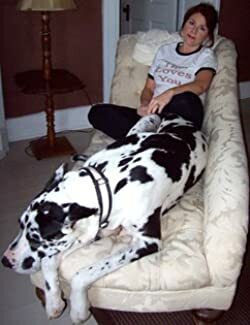 Originally from Chicago, she shares her home with her husband and their three Great Danes, all of whom contribute to her books in unique ways. She has just published The Geraghty Girls Recipe Book and is working on a retelling of the Grimm fairy tales. Please enter your email address and click the Follow button to follow Barbra Annino!